At work, the way we communicate is changing. Because more employees telecommuting and flex-timing, interoperability and seamless communication are becoming more important to each company’s success. Recent improvements to and availability of mobile technology and cloud-based managed services are providing the infrastructure needed to fuel this transformation, making employee remote collaboration possible. Currently, 1.2 billion daily users all over the world are using MSOffice, Outlook, Skype, Yammer, and OneDrive to communicate, collaborate, and get things done for work. One reason for the popularity is the importance that Microsoft places on user experience. Recently, the commitment they made to creating a person-centric IT is becoming more evident. While maintaining the familiar MS Office branding, they have updated their interface to simplify the usability and create more engagement. Microsoft Office 365 has built in all of the tools necessary for the modern workplace, while providing new users with a familiar interface and low-cost training for easy onboarding. MS Office 365 could be the key differentiator for businesses seeking to improve productivity, streamline operations, and promote opportunities for real-time collaboration. In this global and increasingly mobile work environment, in-person collaboration is less and less possible. When information or content needs to be shared, and feedback needed immediately, the real-time, multichannel communication offered by MS Office 365, is crucial. The feature, which has been available to MS Office users for several years, has been upgraded to include all of Office 365, OneDrive, and Skype users. The access to each other and the exact working document is truly the closest approximation to real in-person collaboration. Thanks to MS Office 365, it is no longer required to wait days or even hours for revisions, and it virtually eliminates miscommunication, which is a boon to the efficiency and productivity of your small business. The newest version of the cloud-based MS Office is built for collaboration. These tools offer any company —regardless of size, an optimal workplace experience. Whether in-house or on-the-go, your employees are able to effortlessly communicate with each other. Since all of the content created is kept in the cloud, sharing with co-workers is a breeze. This capability extends to shared calendars, a feature which is integral to collaboration and makes the functionality and reliability offered by Microsoft Office 365 integration attractive. Yammer, where the workplace meets social media is another option for content sharing. The social media-style platform designed for sharing and communicating makes it a fun addition to traditional interoffice communication methods. Because it is entirely cloud based, Office 365’s mail product, Outlook is perfect for use with mobile devices. Users receive 50GB of storage and it allows sending attachments as large as 150MB. Fully integrated with all of the other Office 365 tools and applications, Outlook can be accessed from any application or program, or through the main single portal interface. From this single portal interface users can sign-on to multiple applications, send mail, make calls via Skype Business, use the instant messaging feature, and even create documents like PowerPoint slides, Word documents, and Excel charts. Once signed in, users can access the entire suite of programs from any screen. For example, If you experience a moment of inspiration mid-email or while on a Skype call, you only need to pull up OneNote — where you can put thoughts down fast and in a myriad of ways like drawing, texting, or using voice memos. As cloud phone systems are concerned, Skype for Business is top notch. With this newly designed interface, it is possible to have meetings or make calls with anyone. In fact, you can conference with up to 250 attendees. All that it requires is a high-speed internet connection. Interoperability with other Microsoft products is seamless, as users can schedule calls and meetings in their Outlook account and then share the calendar with other users. It is even possible to create new calls directly from inside Word or PowerPoint application or document. 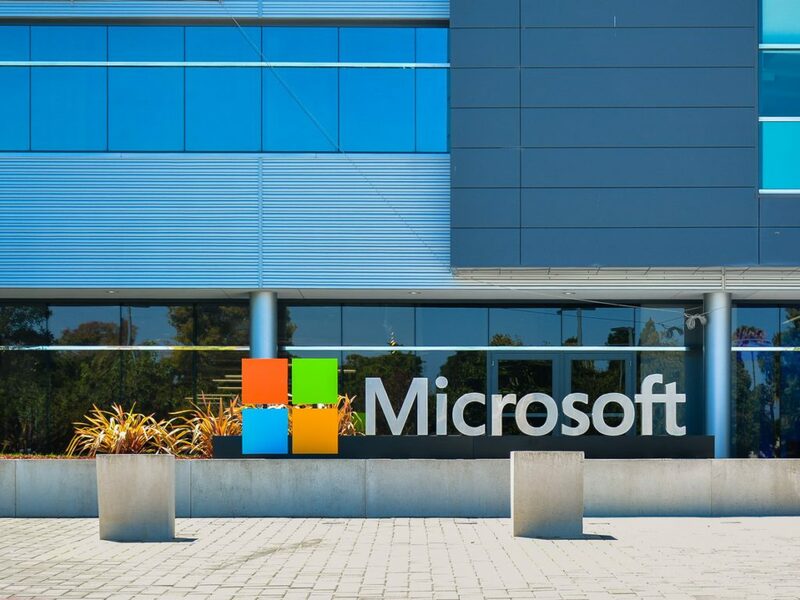 Microsoft realizes that security is important and they factor that in from the initial programming all the way through to their effective response strategies, in the event of the unexpected. This means less downtime for you. Tiered support is offered, for any sized business using their cloud-based services. Access to dedicated support service for enterprise users like you is available 24/7. They have also developed a network of carefully vetted Microsoft Partners like INTELLAM, to help you with all of your Office 365 and cloud support needs. MS Office 365 is like the Swiss Army Knife of productivity and communication made possible by the latest and most trusted Microsoft technology. For all organizations seeking to improve their employee collaboration efforts and streamline operations, it is essential. It is easy to use because of the familiar MS Office interface, which means less learning curve and faster onboarding times. Fully integrated MS Office 365 makes it possible for individuals, regardless of their technical acumen, to transform their workforce into a global, fully mobile network eliminating any of the barriers created by distance or time across multiple devices and platforms. The right cloud services administrator can open the door for greater flexibility and leverage. INTELLAM is positioned to help your company succeed in the cloud. As a Microsoft Partner, we can assess your business goals and quickly identify a solution that matches your small business needs. We can even help you scale when the time for growth is right for you. For more information on our services, connect with us today.